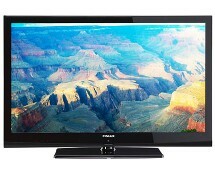 If you’ve been dreaming of buying a cheap but decent 3D TV now is your chance! 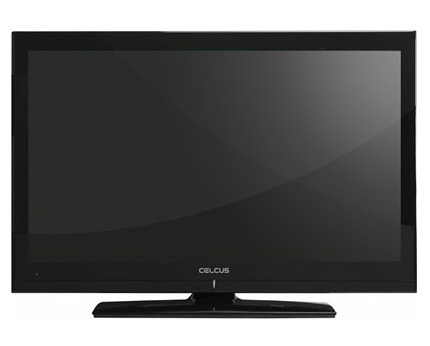 With a price drop of £200, the 32-inch Celcus LCD329032 3D TV is available now at sainsburys.co.uk for only £199.99, which is an absolute bargain! Grab it quick, the offer ends soon. We’ve dealt with Celcus TVs before and we were left with a good impression; of course, their designs were not breath-taking but then again, we don’t remember any budget TV leaving us very impressed with its overall aspect. That being said, let’s overlook this chapter and see what the Celcus LCD329032 can do. In case you missed the intro, we’re dealing with a 32-inch flat screen TV – a TV that’s just the right size for a bedroom or a smaller living room. The 32-inch display is capable of a Full HD 1080p resolution and it comes with LED technology for uniform lighting and power saving purposes. Rounding it up, the overall result is satisfying: well-defined images and natural colours. 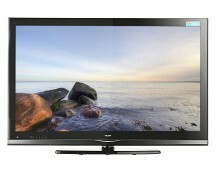 On the 3D side the TV is pretty decent as well, 3D content having just the right amount of depth and realism. We liked the fact that the TV comes with 4 pairs of 3D glasses included in the box – an aspect that tends to become a trend in the world of budget 3D TVs but it’s still missing from bigger brands such as LG, Samsung or Panasonic, which rarely come with included 3D glasses. An interesting addition of the Celcus LCD329032 is an SD card slot on the front side of the TV, which, along with the USB port, completes the multimedia side, allowing you to watch your vacation pictures by simply removing the SD card from your camera and inserting it into your TV. 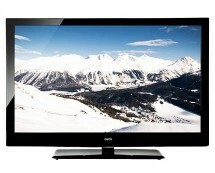 The bottom line is that, if you’re looking for a TV that delivers good value for its money, this is it.